Book Description (Amazon.com): Gabriella’s past is a mystery, but that never stopped her from achieving her goals. As a Supernatural Specialist, and far more intelligent than anyone her age, she was always ignored by her peers. Because of the isolation she always felt, she put her life and soul into her job. Being a Supernatural Specialist hasn’t given her the divine intervention she always longed for, until one day a shipment arrives from Italy containing three dead bodies with an uncanny ability to regenerate. Gabriella is frightened and intrigued, but not as scared as she becomes when a dark creature attacks her. As the bodies come back to life, the plot takes an unexpected twist that you won’t see coming. 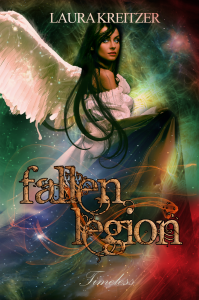 The supernatural world only begins to unfold before her as angels appear, her dreams start to haunt her, and the very past she has forgotten comes back with startling clarity. Romance blooms, escape plans are made, an assassin is out to kill her, and death is only around the corner. But what is more terrifying than all of this is the fact she is the chosen one, the Illuminator, the one who will save them all. Danielle’s Review: Gabby has a fascinating job researching the paranormal, but when three dead bodies arrive in her lab, her life is changed forever. She finds herself surrounded by supernatural beings with information that puts her in immediate danger. Discovering her divine birth and amazing abilities, Gabby must find a way to stay alive and save those she loves before the Ladies of Light destroy mankind. This is a unique, well-crafted story that gives the Angel genre a fresh, new angle. Gabby plays the role of the strong, witty heroine well, but she isn’t above emotional pain or expression. I was drawn into her internal struggles and found the fantastic storyline to be believable and exciting. Shadow of the Sun moves at quite a fast pace. I appreciated that, but must admit it sometimes felt as though it rushed forward without clear reason, and there were point of view switches that threw me off. I did find myself setting the book down frequently due to information overload, but this YA novel is a clever start to a series with great potential. Ms. Kreitzer has done a remarkable job sharing a new world with details and a history that will engage readers of all ages. Her voice is strong and her writing determined. This adventure would thrill any paranormal reader, and the next story promises to be just as curious. About the Author: Laura Kreitzer is a published fiction author who hails from western Kentucky. 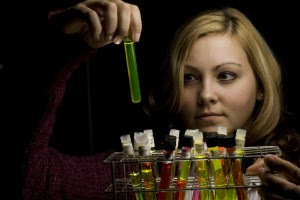 Her full-time 9-5 job used to be working in a lab devoted to water dye-tracing investigations at Western Kentucky University, though her passion was always writing. Shadow of the Sun is the first book in the Timeless Series of books about a young woman, Gabriella, who is a doctor in charge of paranormal investigations at an influential government lab. A sudden delivery to her lab reveals the possibility that Angels actually exist and she must use her skills in both science and discernment to decide if the previously thought of science fiction is a reality. The main character is similar to the author in many ways, the least of which is her incredible intelligence. Both Gabriella and Laura are both strong women who let very little stand in their way. Becoming a published author is a harrowing, and often disheartening, experience. Laura bravely decided to pursue the path of self-publishing. The editing experience was an exercise in patience as version after version were carefully picked apart for proper grammar, spelling, formatting, and appropriate storyline continuity. 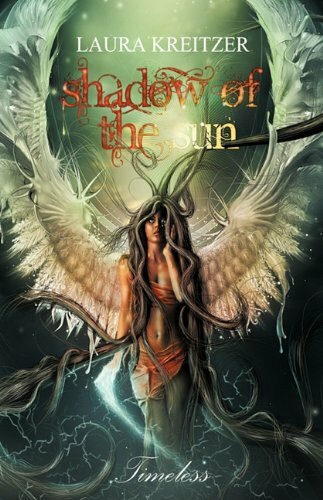 After several months of Shadow of the Sun being available for purchase, she was offered a job and an offer to publish her first novel at Obsidian Mountain Publishing, which she accepted. 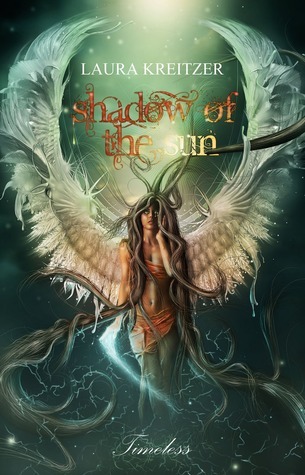 Although the storyline of Shadow of the Sun poured from her fingertips onto her computer screen, the process itself of bringing the book to life has been one of hard work and dedication and Laura has also decided to use this website not only to promote her book, but also for author support to encourage other writers to publish their work and become authors in the eyes of the rest of the world. Summary: Gabriella’s past is a mystery, but that never stopped her from achieving her goals. As a supernatural specialist, and far more intelligent than anyone her age, she has always been ignored by her peers. Because of the isolation she has always felt, she put her life and soul into her job. Being a supernatural specialist hasn’t given her the divine intervention she always longed for, until one day a shipment arrives from Italy containing three dead bodies with an uncanny ability to regenerate. Gabriella is frightened and intrigued, but not as scared as she becomes when a dark creature attacks her. I savored the story and the characters in Shadow of The Sun whom I feel like I connected with on many levels. The main hero, Andrew comforts and supports Gabriella while being a perfect gentleman. Laura Kreitzer creates an emotionally riveting mystery full of myth , magic and romance. I gave it five stars and would recommend it to all of my adult friends! See our original review of the first book in her Timeless series and our full April interview with her here. I told my Grandmother that I wanted to write my own book and she said Angels sounded like a good idea. So, I let the idea simmer in my head for a few months until I decided I didn’t want to write the typical angel. Actually, I didn’t want to write about anything that anyone else had ever written about. And . . . tada! Shadow of the Sun. Do you feel like you relate to any of your characters? I relate to each of my characters for different things. But I probably relate better to the main character the most, mainly because of her anti-social nature. With each character I brought out something in me–whether it be their evil side, their loving side, or their need to protect. Describe your path to being published. I researched for about 5 months on what I wanted to do. Traditional publishing is a great way to go . . . if you can get someone to actually publish your book. Well, I didn’t want someone to tell me that I wasn’t good enough to publish my book. The whole process was one I didn’t think I could handle mentally. So, I saved money and went the self publishing way through iUniverse. I picked out my font, the layout of my book, I had a graphic designer take my idea (with help of some friends 😉 to make the beautiful cover. I literally did all the things a publisher would do. You have to be dedicated to go self publishing, that is for sure. And here I am today! My book is sold in over 30 countries, through B&N.com, Amazon.com, and Books-a-Million. From what I hear, Borders will also be picking up my book. We’ll see. What things inspire your writing? My Muse, friend, and Beta Lisa! It sounds silly, but sometimes I can’t even write unless I am talking with her on messenger. She cracks the whip, is a wonderful, dedicated person, and loves my characters. Especially Joseph. Oh, she is going to love book two, then! 😀 Well, she already does. The fact that when I reread some of the things I wrote and go “I actually wrote that?” is another thing that inspires me. Sometimes I don’t realize I can write the beautiful things I do until I reread much later. Sounds cheesy . . . well, I’m just a cheesy person! Also, sometimes I really try to feel what my character is feeling. Hell, through the whole Abelie scene I was crying my eyes out! So I understand how people feel when they email me and tell me that I made them cry. I cried too! Any photos of the places you imagine in your scenes in Italy? Well, I just tried to google pictures in Italy to see if I could find something like the picture I have in my head but I was unable to find what I was looking for. Close, but not close enough to use. My mother has been to Italy several times in her lifetime and some of her pictures come to mind when I think of Italy. Of course, in my mind it isn’t these large cities, but small villages thousands of years ago, or a vast, empty field with mountains in the distance for the scene in the book. We’ll see more of Italy in book two! Write! Always write, never stop. Doesn’t matter if it is bad or in need of major help . . . WRITE! You can’t aspire to be a writer if you only dream of it. You must act upon it. And never, ever give up. She has donated one signed ARC of Shadow of The Sun book #1 in the Timeless series for our US blog followers. Click here to enter to win as a part of BIR2010. My Waiting on Wednesday is book two in the Timeless Series by Laura Kreitzer,one of our affiliates. I devoured book one, “Shadow of the Sun” and gave it five stars. Waiting and can’t wait any longer for book two! Laura has released a few lines for us on twittter @laurakreitzer and on her website. In the meantime, you can enjoy book one and enter our Shadow of the Sun book giveaway which ends tomorrow! Check the right sidebar and good luck. Soul Stalker is book two in the Timeless Series. Read a preview below. WARNING: This summary contains spoilers for Shadow of the Sun. Being the Illuminator is not all happiness and light, especially when everyone thinks you are dead. When Gabriella decides to finally let her angels know that she is alive, Joseph and an unexpected friend help her. The Darkness Illuminator is not as in control of her power as she believes, which makes for a very comedic and endearing relationship that blooms between the three. A fender-bender debacle, a run-in with the cops, and a hiccup at the airport seem to all be worth it until Gabriella finds out her plan has backfired. The three angels are missing, more mysteries pile up, and a new evil is brewing – so terrifying, in fact, that even the Soul Stalker herself is cowering in fear. Our heroine begins a jarring, romance-filled, heart-breaking journey that will lead her back to Italy, and ultimately to the answers she is desperately searching for. What will she do when they aren’t the answers she expected? What happens when she unveils a truth, so deeply hidden, that it causes an angelic war? Laura Kreitzer is a newly published fiction author who hails from western Kentucky. While her full-time 9-5 job includes working in a lab devoted to water dye-tracing investigations at Western Kentucky University, her passion lies in writing. Becoming a published author is a harrowing, and often disheartening, experience. Laura bravely decided to pursue the path of self-publishing. The editing experience was an exercise in patience as version after version were carefully picked apart for proper grammar, spelling, formatting, and appropriate storyline continuity. Please keep in mind that this website is a work in progress, as is everything in life. That being said, the team that supports Laura is always ready and willing to answer any questions that adults or young adults may have regarding her process to becoming published and the intense determination she has shown to make it a reality. The first book, Shadow of the Sun, is now available for purchase. Laura is currently writing the second book in the Series, Soul Stalker. What did you do in the way of research for the book? I started writing in August and finished in December. I edited through the day it was published in February. I am going to talk with my employer about going part-time so I can finish the next novel in less time then that! Describe your path to being published. I researched for about 5 months on what I wanted to do. Traditional publishing is a great way to go . . . if you can get someone to actually publish your book. Well, I didn’t want someone to tell me that I wasn’t good enough to publish my book. The whole process was one I didn’t think I could handle mentally. So, I saved money and went the self publishing way through iUniverse. I picked out my font, the layout of my book, I had a graphic designer take my idea (with help of some friends 😉 to make the beautiful cover. I literally did all the things a publisher would do. You have to be dedicated to go self publishing, that is for sure. And here I am today! My book is sold in over 30 countries, through B&N.com, Amazon.com, and Books-a-Million. From what I hear, Borders will also be picking up my book. We’ll see. Are you working on any future writing projects? Check out her amazing site at http://laurakreitzer.com/and be sure to check in tomorrow for a review of her book and giveaway!